In the United States, 43.8 million adults — one in five — experience mental illness in a given year. This is a staggering number. But what’s even more shocking is the lack of awareness and support available to individuals with mental health concerns. Roughly 60 percent of these adults, for one reason or another, do not receive mental health services. Three-quarters of all chronic mental illnesses begin by the age of 24, an age most college students are not far from. With the added stresses and responsibilities of college, such as coursework, internships, financial restraints and others, many students are, without realizing it, particularly vulnerable to experiencing negative effects on their mental health. The National Alliance on Mental Illness at the University of Wisconsin (NAMI-UW) is an advocacy and awareness group on the UW campus that works to educate, advocate and support individuals experiencing mental health concerns. 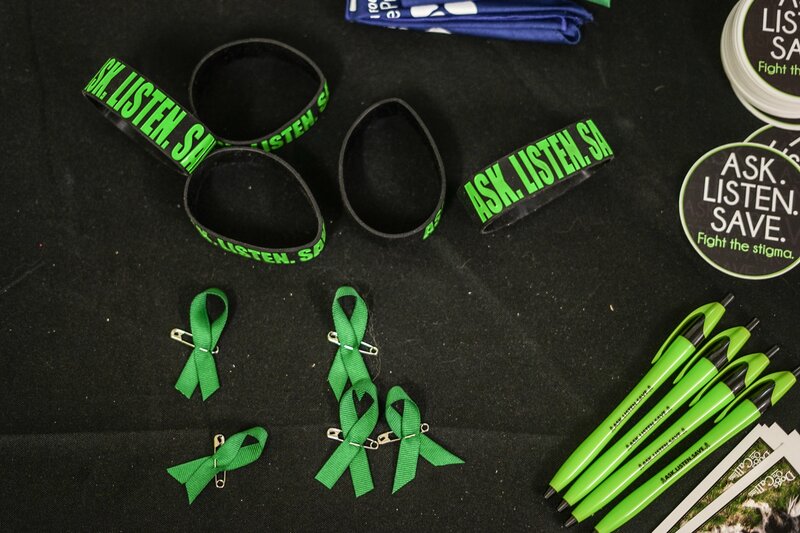 As a national grassroots organization, our student organization is joined by many other campus groups throughout the nation that work to stop the stigma surrounding mental illness on college campuses. While many people may not be aware, there is an underlying and implicit stigma associated with the topic of mental health illness. So, what is this stigma, exactly? It ranges from turning a blind eye to mental illness when it is occurring, all the way to blatant insensitivity associated with mental health. Often times, family and friends may notice a decline in the mental health of a loved one, but choose not to intervene for many reasons. In a society that values public appearance to such a dangerous extent, people are unwilling to broach the idea of unhappiness, despite the undeniable fact that it lies beneath the surface of so many of our closest friends and family members. Most importantly, and most relevant to campus, the use of insensitive language and comments that could pertain to mental health has become normalized among our age demographic. Phrases such as “I’m going to kill myself” and “stop being so bipolar” are just a few examples of this. Students are so quick to implicate mental illness in their daily stressors, trivializing the years, even decades, of pain, frustration, helplessness and treatment that plague mental health patients. While the speaker may not intend to cause harm with these words, individuals undergoing mental health concerns who hear them may be seriously affected and even less likely to approach a friend, family member or trusted companion about their own struggle. Suicide is not a joke to toss around because you have too much homework. Anxiety is not the appropriate descriptor for an average annoyance — it is a life-altering, potentially fatal condition that patients struggle with every moment of every day. With the aim of stomping out the stigma of mental illness, our organization works diligently to provide resources and opportunities to the student population. One such example is our partnership with experts and dedicated professionals throughout campus and the surrounding community. Each semester, these individuals offer insightful and informative background to our meeting attendees. Examples of this have been the use of art therapy, meditation and presentations by the UW police department. Resources such as these provide students with tools to address both their personal mental health and the mental health of those around them. By starting and normalizing a conversation surrounding mental health, the topic becomes less sensitive and more widely discussed. This helps to start the process of stomping out the stigma. There are further steps, however, that the campus community can take to stomping this stigma. Here at NAMI-UW, our organization offers many ways to engage with and support those with mental illness. Earlier this year, we launched the Green Bandana Project, a small and significant project that has taken the UW campus by storm. 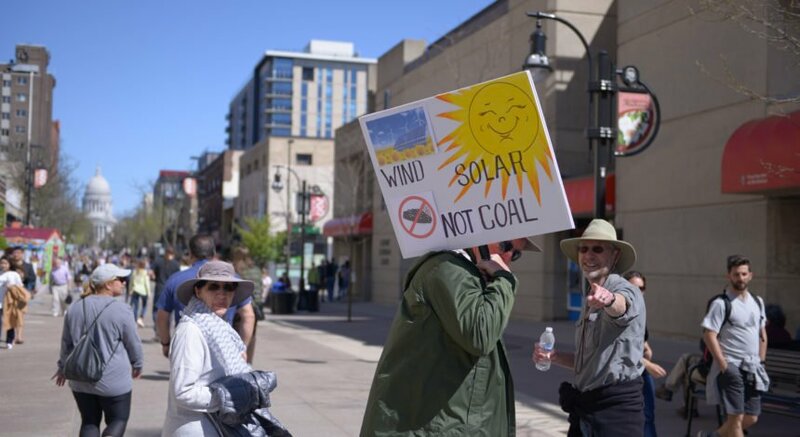 Any member of the campus community, including faculty and students, can be a part of this growing movement simply by tying a green bandana to their backpack. This signifies to students on campus that you actively promote awareness and support to those with mental health concerns, whether they be suicide, depression or basic college stresses. In addition to the bandana, resource cards are provided to assist those who seek out further options for support and treatment. This display of support conveys to the campus community the unity and shared commitment to stomping the stigma surrounding mental health. In addition to the Bandana Project, NAMI-UW offers weekly peer support sessions known as WiChat. Every Monday from 7 p.m. to 8 p.m., NAMI-UW opens our office at the Student Activities Center to the campus community. WiChat sessions are led by trained facilitators that guide an open discussion about current life stressors and personal individual stressors. The conversation is open and can head in any direction. It is hosted in a non-judgmental and honest atmosphere that is comforting and supportive It provides an opportunity for individuals to actively engage in a conversation about mental health and to support those around them who may be affected. Through our partnerships and opportunities, we seek to bring advocacy, awareness and support to campus and the surrounding community. Anyone can get involved, and the level of involvement is as simple or complex as the individual chooses. Regardless, everyone on our campus can contribute to making a difference by joining the movement to finally stomp the stigma. David Platz is a senior majoring in biology. Madi Czerwinski is a senior majoring in political science and environmental sciences. Phil Pape is a junior studying pre-nursing. They are, respectively, co-presidents and vice president of the NAMI-UW chapter. You can find more information on the organization here.